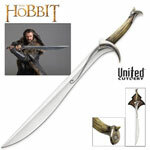 Robin Hood Swords and the beautifully detailed leather scabbard seen in the hit remake Robin Hood with Russel Crowe. 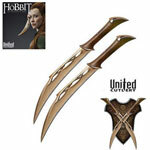 These are the officially licensed replicas from The Robin Hood Movie and include a certificate of authenticity. 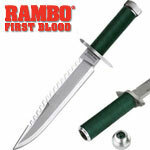 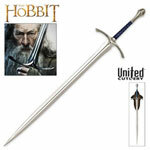 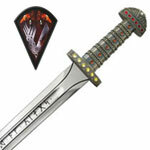 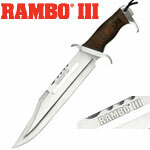 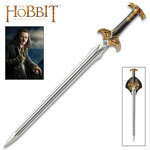 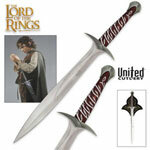 Robin Hood Swords for sale are the officially licensed replicas from the movie Robin Hood starring Russell Crowe. 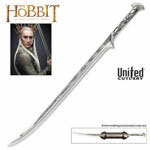 These swords measure 40 inches in all. 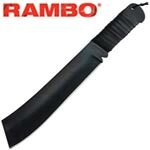 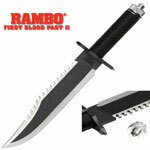 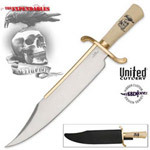 The 33 inch blade is crafted from unsharpened high carbon steel. 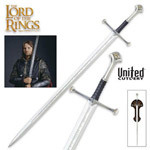 In order to properly replicate the sword carried by Robin Hood in the movie, these swords have a wooden handle that features antique steel with blue stone inlays. 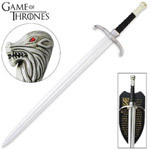 The handle is inscribed with Rise and Rise again on one side and Until Lambs Become Lions on the reverse side. 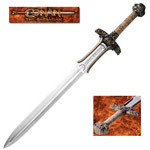 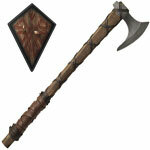 These popular swords have an antique finished steel guard and pommel. 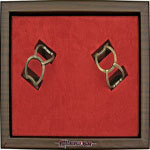 In order to properly display these licensed movie replicas, an attractive wooden wall display plaque is included. 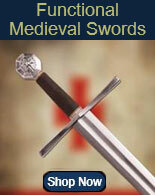 The display features the Loxley Coat-of-Arms. 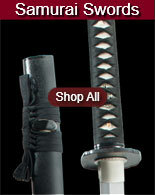 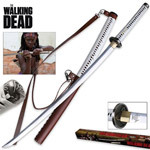 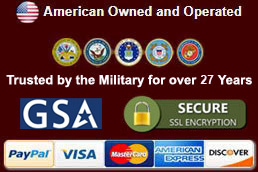 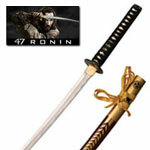 Each sword includes a certificate of authenticity. 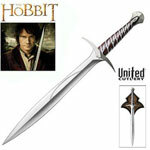 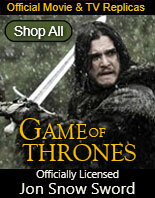 Buy the officially licensed Robin Hood movie swords for $229.99.